Read on and learn what to expect when you're having new laminate flooring installed in your home. Learn all about how to clean and care for your new laminate floors to keep them looking new once they've been installed! We have nothing but good things to say about laminate flooring! It's a beautiful, versatile option for any home. 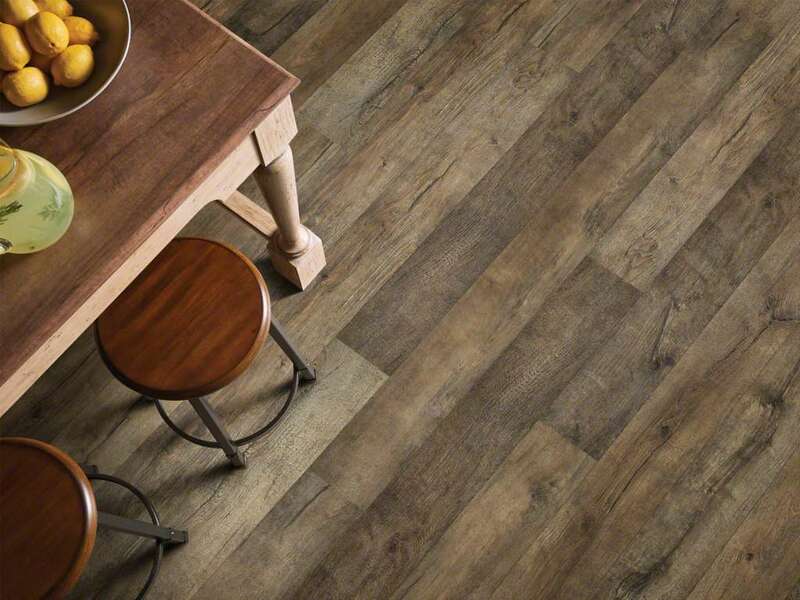 Laminate has been gaining popularity in recent years, and for good reason. They're stylish, functional, and highly durable. They're also especially well-suited for homes with pets or small children running around. Durability - Laminate floors have the well-deserved reputation for being tough! 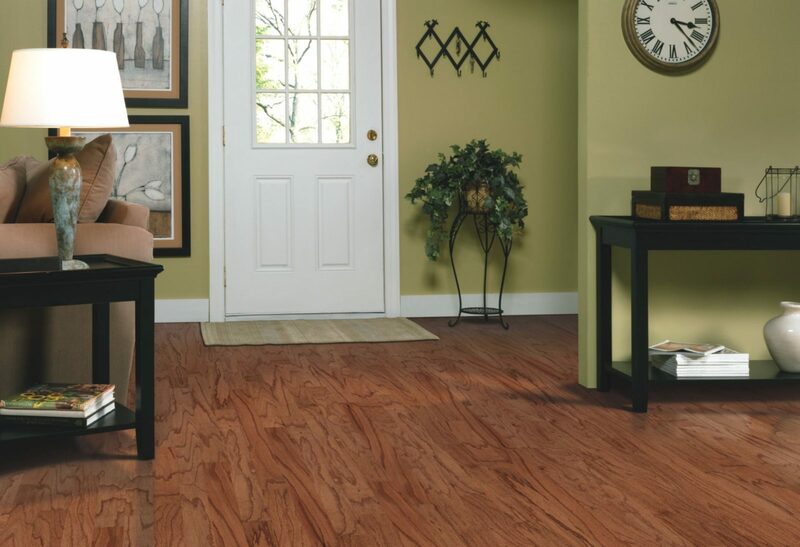 Laminate is highly scratch resistant, and is resistant to impacts, stains, and even fading from the sun. Can it get much better than that? Installation - Laminate flooring is easier than other types of floors to install. Typically, the planks snap together, and they do not need to be nailed, stapled, or glued to a subfloor. When installed properly, it will look sleek and classy. 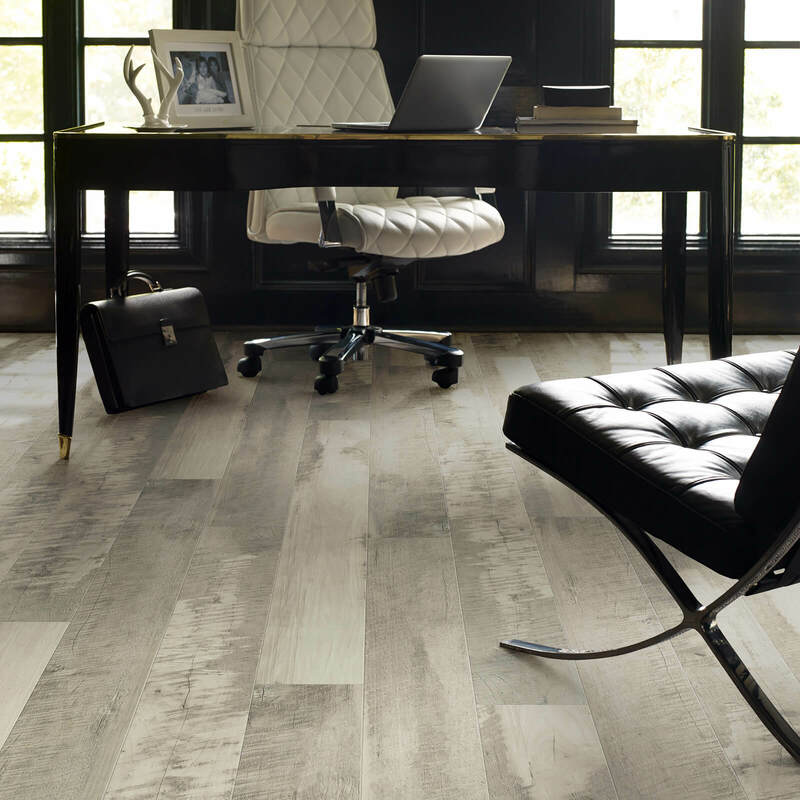 Stylish - Laminate has much of the appearance and texture of hardwood. Plus, it comes in a wide selection of styles, colors, and finishes so it is easy to find a look that you will love and that will complement your home. Great for Kids & Pets - The topical finish coat on laminate makes it very difficult for kids and pets to cause damage to these floors. Less Allergies - Dust and other allergens don’t penetrate into laminate flooring. If anyone in your home suffers from allergies then being able to simply sweep or vacuum away the dust and pet fur is a huge benefit. Like hardwood, laminate is susceptible to moisture damage, which is why we do not recommend choosing laminate flooring for bathrooms or other rooms where water exposure is likely. If laminate is subjected to standing water, the materials it is made of breakdown and buckling will result. Shaw laminate flooring, for example, includes wood so you would never use excessive moisture or install in a high-moisture location. Sometimes when warping or buckling occurs, the entire floor will have to be replaced since repairing small sections of laminate is not always possible.